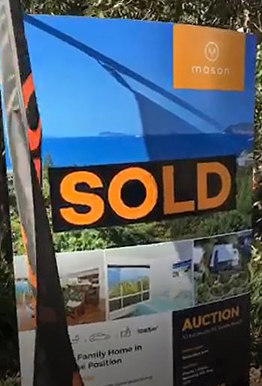 Rob Mason has three times been awarded WA’s Champion Auctioneer by REIWA and has twice represented Western Australia in the finals of the Australasian Auctioneering Championships – still the only West Australian to have achieved this level of proficiency. Rob continues to lend his expertise to the REIWA Auctioneering Competition on the judging panel. 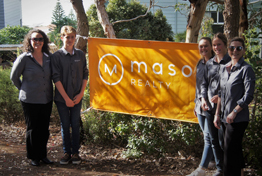 A licenced auctioneer since 2001, Rob’s expert knowledge is only available in Albany through Mason Realty. We will not recommend auction unless we truly believe it is best for your property and your circumstances. We will consider the merits of all methods of sale in consultation with you. If auction is recommended, we will equip you with the knowledge and reassurance that we are working together to achieve the very best outcome for the sale of your property. 3 opportunities to sell – prior to auction day, at auction, and post auction. A set marketing timeframe that creates urgency amongst buyers and consistently results in a selling time frame around half that of private treaty. 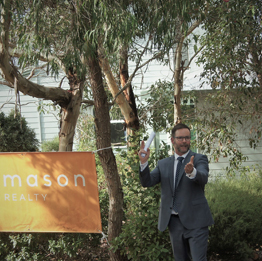 Rob Mason is regularly sought out as a contract auctioneer by some of Perth’s best real estate practitioners. We welcome the opportunity to discuss the merits of auctioning your property in The Great Southern. Please feel free to call Rob on 0411 615 806.